Waiting to Exhale #1, 33 x 34 inches, by O.V. Brantley, 2011. For sale at ovbrant.etsy.com. 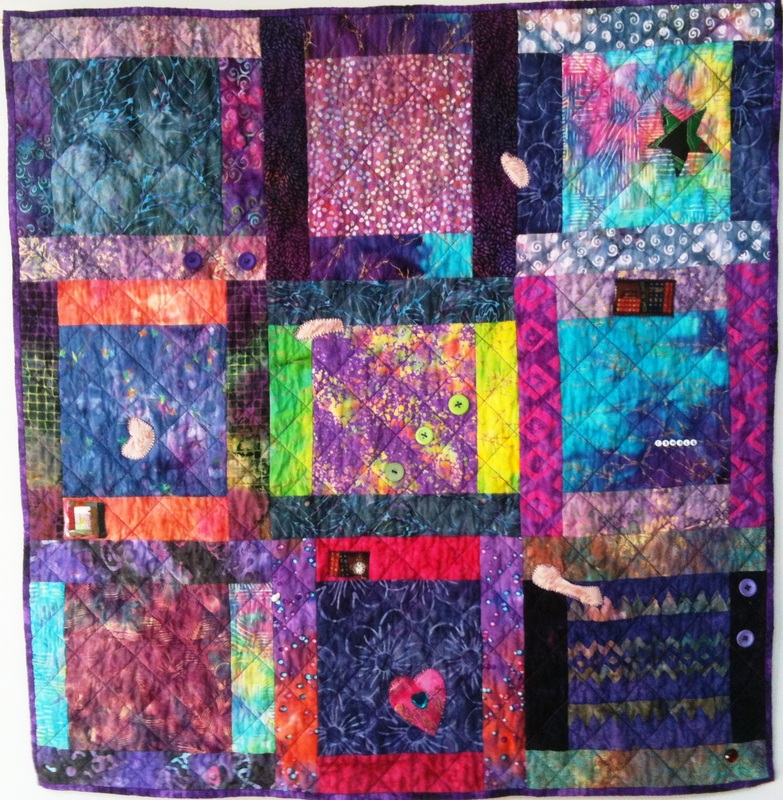 The purple, green and blue batik background in the 33 x 34 inch quilt is intended to invoke a zen-like feeling. To carry out the theme, the quilt is embellished with inspirational words such as “rejuvenate”, “relax” and “exhale”. A butterfly fabric is on the back of the quilt. Waiting to Exhale #1, is one in a series of three quilts although each quilt is unique. They are listed for sale in my studio store. This entry was posted in A Quilter's Life, For Sale and tagged African American quilter, fabric art, O.V. Brantley, Waiting to Exhale #1, wallhanging, www.ovbrant.etsy.com. Bookmark the permalink.